August Sander (1876-1964) founded his photo lab in Cologne in 1911. His philosophy was to always reach the best quality possible which has been the company´s guiding principle until today. Each step of the production process is implemented meticulously and with innovative technology Sander can provide a variety of products in museum quality. Our partner laboratory uses processes that meet the highest demands of artists and photographers. Thanks to a professional colour management system, we ensure intense and long-lasting colours. The colour accuracy and brilliance of our brand-name photo papers have a certified lifespan of 100 years. 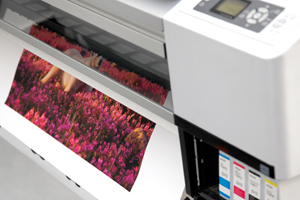 We exclusively use high-quality material from trusted suppliers to ensure the quality, brilliance and durability of your prints. We use highly developed lab technology to guarantee maximum precision and resolution so that your piece of art looks immaculate and brilliant. In-depth quality checks after each production step ensure that we fulfill our quality promise. The use of premium ink and colours as well as approved photographic methods ensure that your print will last up to 100 years – a lifetime! While almost all production steps are being supervised by photo-professionals, some steps are still being handmade in a traditional manner.